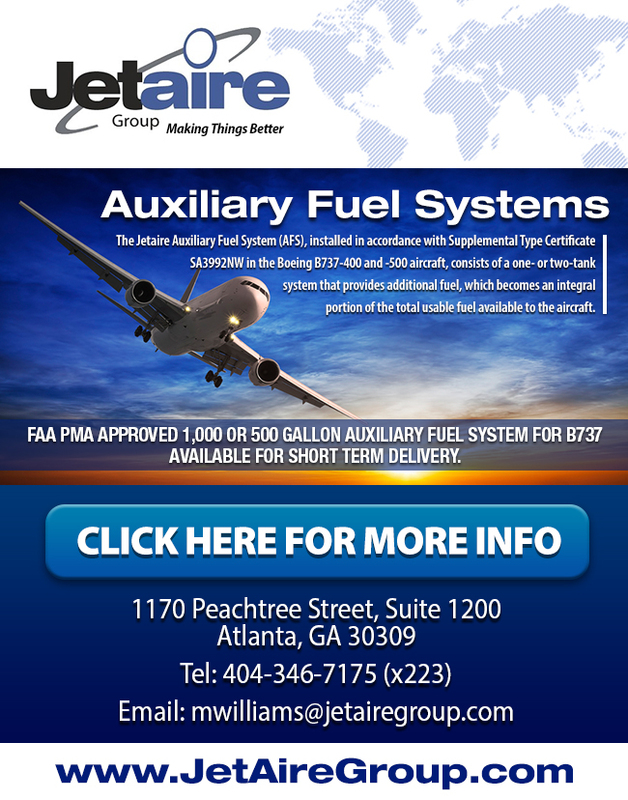 The Jetaire Auxiliary Fuel System (AFS), installed in accordance with Supplemental Type Certificate SA3992NW in the Boeing B737-400 and -500 aircraft, consists of a one- or two-tank system that provides additional fuel, which becomes an integral portion of the total usable fuel available to the aircraft. Jetaire’s AFS system for the Boeing 737-400 and -500 has 500 US Gallon tank(s) installed in the lower cargo compartment of the aircraft to provide extra fuel storage space. Individual 500 US gallon fuel tanks are arranged in the configurations in the tables.